So how did I take the weight of bullying off my shoulders? How did I rise above the bullies including those memories of my youth as well as those moments now as an adult? I broke the chains. When I look back on how I became strong, it was a bunch a little things that just made up a big thing. I learned to look at bullies and see past the “charade”, the words spoken and realized bullies are just playing a part, a mask, insecurities taken out on others, the list goes on. But the biggest and best thing I did; I took up running. It became and always has been a Me vs Me. It was by doing this I learned that people can stare, look and snicker at a very plus size runner out trying. It was with this I learned, they can judge all they want from the side lines because that is where they exactly are: the side lines. I learned by looking and viewing these people just as bystanders, I had no fear in running in the daylight, running runs and coming in near and basically last. I was running for me. I had to grow confidence in myself, which is a grueling task all on its own, especially when you are not the best of the best, but you’re the best version of yourself. Loving yourself is the best thing you can do. Learning to be confident in myself after years as a child, young teenager and an adult I was constantly put down, made fun of and just tormented was not an easy task to do. Even in recent years I’ve worked in toxic work environments, it was here I learned even adults can be bullies. It took me years to realize those words said and typed are just that words. They do not change or define my worth. Some people have the focus in stopping bullying, which is a great, but my focus is learning to rise above it, build the shield to know that they are just words, they don’t change anything about you. I can’t stop an adult from being a bully, I can tell them the words they say are hurtful, but at times, it doesn’t change them. In the end the words said to me by a bully are just useless false words. I learned to break the chains. I learned to break any hold a bully had/has on me. I have learned to control my life, my thoughts and mostly I’ve learned a bully can’t keep my mind hostage, because I broke the chains. I had weights chained to me that I was allowing control over me. It was as if my bullies were my puppet masters; not anymore. I broke the chains. I turned my life around to it always will be Me vs. Me. I went back to Pam, who was the original photographer of the bully pictures and video campaign and asked her to help me show those words from years ago mean nothing. They are just words. Pam captured me with the biggest smile and truly happy. I’m in that happy place. I have zero chains. I cried when I saw these pictures. I have better words I use when I describe myself; it is happy thoughts, no negatives. I have positive thoughts about myself, yes I’ve lost weight, but I can look in the mirror and I no longer see a “whale”, I never was a whale, those were just words. I was and always have been beautiful. I am a runner, I may never make it to the podium, but I cross the same finish line as those running greats. I have resilience; I’ve survived being bullied, attacked and worse. I have goals which are dreams, but made with a plan. I have pride in myself, pride in everything I do. I have confidence that anything I do, I can do it. No one can stop me. I have love; my heart is full of love. I am and have success in my life, which is something I earned, and worked for. I have habits that keep me healthy, I’ve learned to love the gym, and love running which are excellent habits. I am strong and I have the strength to endure and survive any storm I walk through. Lastly, I am happy. This is something no one can rob me of, take from me or dilute. I am happy with who I am. Who I’ve fought to become and the person I was yesterday. I am happy. Life is waiting for me each day. I have so many more words that I can use to describe myself, but I don’t need to flood this. Each of you could use a different word to describe me. It would be accurate. Now back to running, it is a community made up of people who never judge, you are going to meet people who are in the “elite” level, who will volunteer to run beside you, push you and make you realize that finish line is achievable. Over a year ago, I signed up for my first half marathon, when I started running almost four years ago I barely could get across a finish line of a 5k, but I did it. Last October I finished my first half, with such a huge amount of supporters both in person and virtual. A year ago, I took a huge leap of faith; I applied to be an ambassador for a hydration company called Nuun. I had zero hopes in becoming an ambassador because there is a stigma attached to companies of an “image” that needs to be fit, fast runners, runners who look like runners (but really anyone who starts is a runner, regardless of anything). I had no confidence that I would be selected. To my huge surprise I was selected to be a member of Team Nuun, an athlete, which is actually on the web page. This company made me fall in love further with them, not just the aspect that nuun hydration is the best electrolytes out there (I’m bias), but the people who work under the nuun family umbrella, are just amazing people. They took the time to learn about me, support me, and are my virtual cheerleaders (some of which have showed up to running events). They are my family. Nuun gave me confidence to believe further in myself, so that I really had no choice but to continue to believe in me. I turned 2016 in to Me vs. Me. Nuun believes and stands behind their athletes, those of us who represent the back of the pack as well as those who are elites. When I had a company standing behind me, supporting me I knew failure never would happen. I will always be forever grateful for nuun. Running changed me for the better. It changed me to allow myself to free the weights holding me down. It allowed me to take control of my life. To be proud of myself for doing something not many that are (was) my size would do, I was over 300lbs and running 5ks. With that last little bit of confidence push which I needed to set my dreams bigger in running. Again this year nuun continues to believe in me, just as I believe in them and the product. I’ve set my eyes on running my first full marathon. 3 years ago, I would have laughed if someone suggested this. A year ago, I never thought my body could endure a half marathon, but my mind, it’s a pretty strong part of me; I knew I was going to do it. 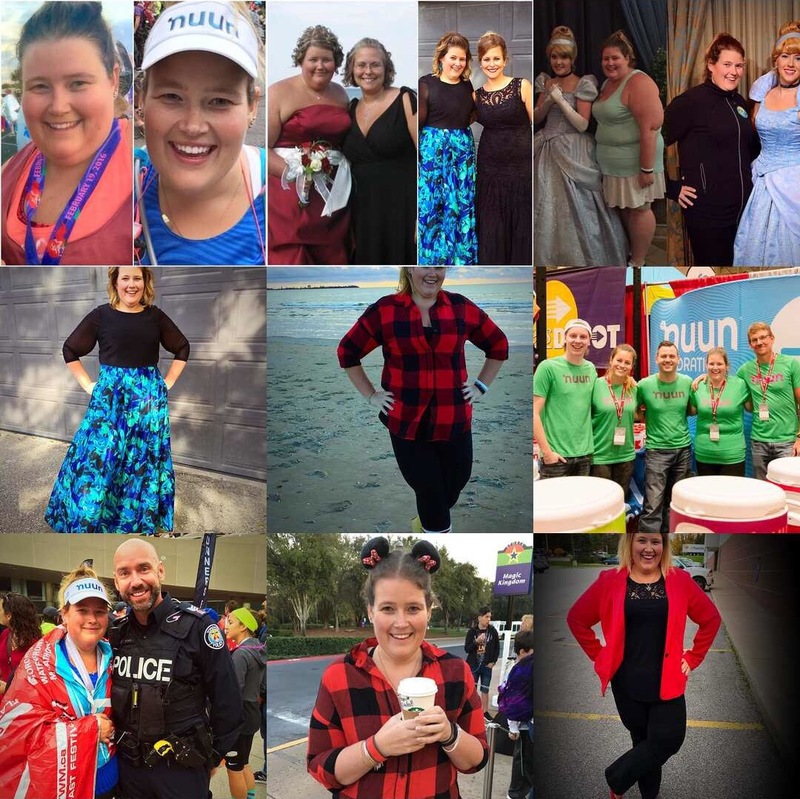 With my confidence, I have been able to believe in myself, I have taken leaps and applied to be run ambassadors, which this year I am representing Run Like A Diva series which is coming to Toronto, as well as I am a member of Team Awesome with the Ottawa Marathon. Without this extra confidence, I would have never applied. So I can tell people I was bullied growing up and as an adult, but the one word you never will hear me say is “victim”. I am not a victim. I am me. I no longer have chains holding me to words, to actions of others. I have come to 2017 being proud of myself. I have empathy for those who have been bullied; we need to teach people rise above it. Focus on positive and see the good within. Change your patterns. These pictures capture how you can rise above. Be a better person and allow nothing to hold you back and down from dreams. I wanted to do this photo-shoot to show others words you hear in dark times don’t make it to the light. I wanted to show everyone, chains can be broken. I’ve broken the chains and so can you. I’ve spent the first half of this month trying to plan my 2017 run season. It was completely harder than I ever anticipated. My goal is to run at least 2 runs I’ve never done. Just to scare myself. So I sat, pondered and asked people questions on courses and looked at all variables. So I’ve registered. I’ve committed and I’ve got myself scared. My running season starts in just a few weeks with a road trip to Alabama to run my 2nd half. This has me scared senseless but that’s the good thing. Face the fear. I’ve committed myself to running 5 half marathons this year. Last year I feared just one. Now I’m doing 5. My biggest commitment and goal is to run my first full marathon in November of this year. If the goal doesn’t scare me a bit I won’t chase it the same. So I’m going to train and learn long training runs are ok.
I’m going to push my body to being uncomfortable. I’m going to question my sanity in committing to a full. I know I will earn the medal. I know the finish is going to be mine. I will be running some 5ks and a 10k, including Sporting Life 10k and the Canada Day 5k in Burlington. So here is the committed list so far. If you’re running any of these events please find me and say hello, I’ll be in something nuun related. If you’re still on the fence for runs or goals. Remember the sky is not the limit. Your fear is. Get out of the comfort zone and push every boundary. I’ll admit I was happy to close the book of 2016. I ended Chapter 12 (December) with having emergency surgery on my birthday of all days. I had many personal challenges from unemployment to health in 2016, but you know what?! I survived all 366 days of 2016. 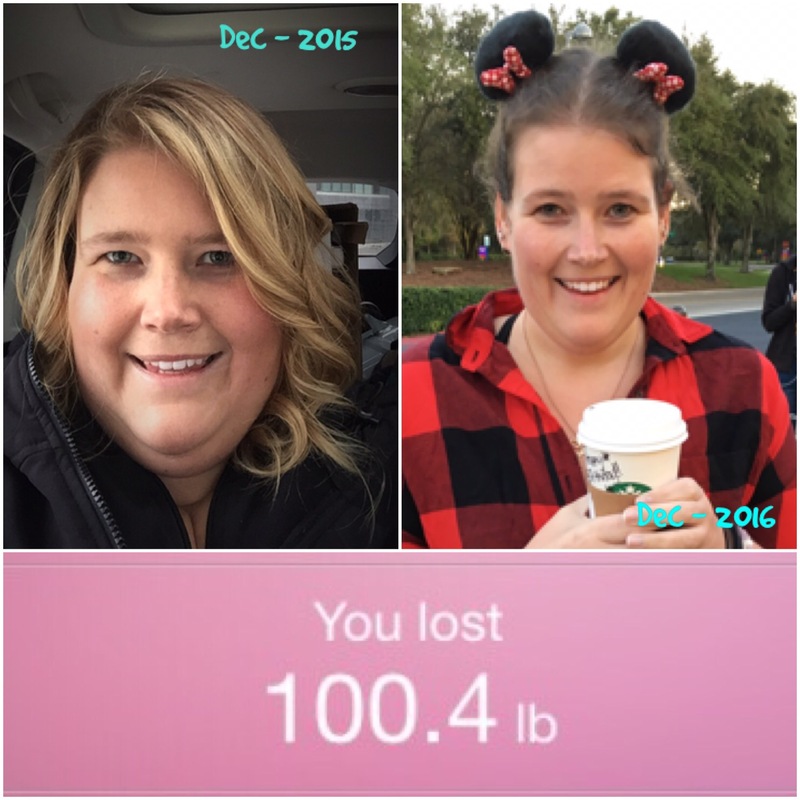 I reached my goal of losing over 100lbs just before Christmas, I truly know that hard work does pay off and if you love yourself enough it’s always will work out. I truly did reflect the last day of the year and realized dreams became wants and wants became a goal, so I chased the goal down. So I can say I’m proud of myself for achieving my goals in 2016. So here we are in a new book, 12 blank chapters and over 365 empty pages. First off, I don’t do resolutions. I do goals. I’ve set a few for myself already and because I’m a work in progress they get changed and new ones will be added throughout the book of 2017. -Learn to love the weights at the gym. As I said, I change my goals constantly and I do many things spur of the moment. I will be running 4 half marathons in this year. A big change from just one last year, but I’m over the fear. I know I can do it. My first half in 2017 will take me on a road trip to Alabama in February. 2016, I’ve learned a lot about myself and this year I’m going to continue to keep loving myself, improving this version of me and being my own person. My path in life is mine to make. So bring on 2017. I’m ready for you.